If you have a routine problem or a question which you feel does not merit making an appointment then the doctors are all available for contact by phone. Reception will take a message and some details and the GP will then call you back within 48-72 hours. 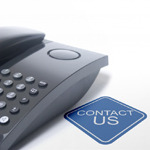 Alternatively, you can book one of our pre-bookable telephone appointment slots, please contact reception. Please note that these must be routine and not require examination, if you think you will need to be examined, please make a face to face appointment. If you are unable to attend the surgery for an appointment due to very ill health or a disability then we may arrange a home visit. Please call the receptionists before 10 am and be ready to give your name, address, telephone number and brief details of what is wrong. You may be triaged by one of our nurses to assess your suitability for a home visit. not all of our equipment can be made available at your home. If a family member or neighbour cannot bring you down to the surgery - then Dial-a-Ride in Loughborough is a community service that is free of charge for the Elderly, Disabled or patients with Learning Difficulties. The Tel No is 01509 631671 - but 72 hrs notice is needed. If you are requesting a urgent home visit that is not life threatening - we may arrange for The Acute Visiting Service to attend if the GP is unable to get to you quickly. This is a service that consists of highly trained Paramedics. If your symptoms are deemed life threatening [eg Chest pain / Loss of Consciousness / signs of stroke] - our reception staff will advise 999.